The vision of Christ for all Nations: Africa shall be saved! Stand side by side with Evangelists Reinhard Bonnke and Daniel Kolenda to carry out God's great commission. 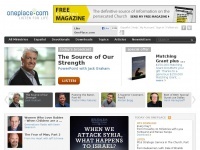 Find out more about the work of Christ for all Nations. two profiles were found for Cfan.eu in social networks. Among other social networks the website is represented in Facebook and YouTube. The web server used by Cfan.eu is located in Germany and run by Hosteurope GmbH. This web server runs a few other websites, mostly in the english language. 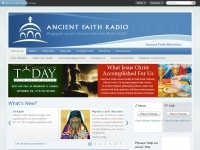 The websites of Cfan.eu are served by a Apache server. The content management system TYPO3 is used. The HTML pages were created with the latest standard HTML 5. Both the inclusion of the website in search engines and follwoing of its hyperlinks is explicitly allowed. 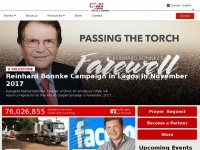 The homepage of the website is "/the-mission-organisation-of-reinhard-bonnke-and-daniel-kolenda/". 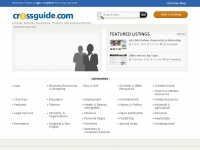 Crossguide.com - Christian Di­rectory - Web­sites, Re­sour­ces, Pro­ducts, ..